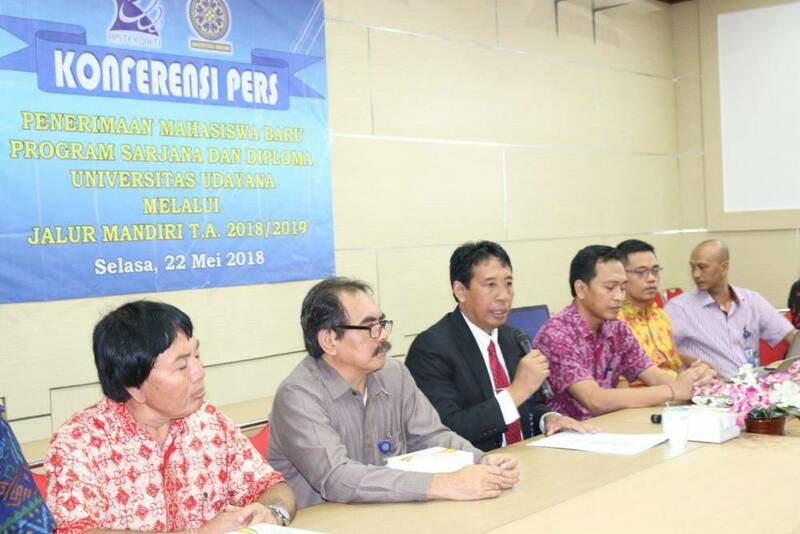 Jimbaran - Tuesday, May 22, 2018, Udayana University held a Press Conference in the Selection Selection "New Student Admission for Undergraduate Program and Diploma through T.A. 2018/2019 ". The opening of Mandiri is the third selection conducted by Udayana University in order to give opportunity to graduates of SMA / SMK / MA / equal. Registration opens online from May 22, 2018 and ends on July 10, 2018 through the https://e-registrasi.unud.ac.id page. The Writing Exam implementation will take place on 15 July 2018 and a graduation announcement is planned on July 24, 2018. 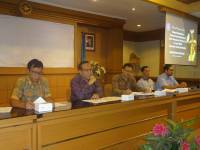 In a press conference, Vice Rector for Academic Affairs, Prof. Dr. Ir. I Nyoman Gde Antara, M.Eng submits Independent Selection by each PTN with the selection fee charged to the participants of Rp. 450,000. The requirements of participants who must be fulfilled for registration is an Indonesian citizen, the last class student in 2018 who already has SKL, and for graduates in 2016 and 2017 must already have a diploma. To accommodate Mandiri Line maximum of 30% capacity for each study program in PTN. This year, the total capacity of the university is 5,900 students.